Practical and biblical guidance to help enthusiastic Christians gain the mindset and lifestyle to serve Jesus in a sustainable way. Lots of people who are involved in Christian ministry (whether paid or unpaid) find themselves having to step back from it. They have not lost their love for Christ, or their desire to serve him. But for one reason or another, they are exhausted and simply cannot carry on. Christopher Ash knows this experience all too well. As a pastor of a growing church, and then in his role training people for ministry, he has found himself on the edge of burnout a number of times, and has pastored many younger ministers who have reached the end of their tether. His wisdom has been distilled into this short, accessible book, in which he reveals a neglected biblical truth and seven keys that flow from it. This practical and biblical guidance will help enthusiastic Christians gain the mindset and lifestyle to protect themselves from burnout and serve Jesus for the long term in a sustainable way. "I write for all zealous followers of Jesus. Perhaps especially for pastors and Christian leaders ~ to those entrusted with pastoral oversight under God. Some of us have the privilege of being set free from other jobs to devote ourselves to this work; others combine pastoral leadership with “normal” secular work. But I write also for the many keen Christian men and women who, in addition to “normal” life ~ busy jobs, parenthood, and so on ~ labor sacrificially to serve in their local churches. The young father holding down a pressured job but also teaching the church youth group. The unmarried woman bearing the weight of much responsibility in her workplace, but also heavily involved in pastoral support and care in her church. The older couple whose gifts and skills are in great demand both at work and in church. And many others like them." Christopher brings to this important subject, not just a personal experience of burnout, but a keen eye to the Bible, and wise pastoral insight into the pressures many of us face as we live for Jesus. 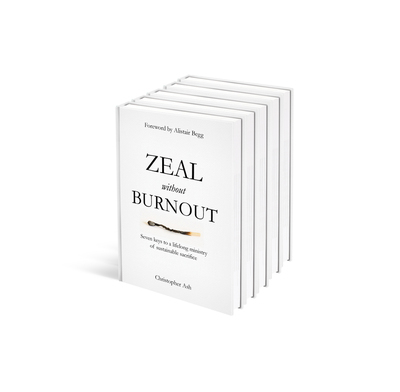 Why not read Zeal without Burnout with others so that you can discuss the issues, spot the warning signs and keep each accountable? Go to our Ministry Pack to get copies for $5 each when you buy 5 or more. 5.3" x 7.4" x 5.7"
Books like this are a needed resource for the weary pastor. Christopher Ash draws on years of personal experience and rich biblical wisdom to provide ministers with a tremendously encouraging resource to persevere and thrive in the ministry. This is a book all pastors need to read and take to heart for the sake of their church and for the sake of the fruitfulness of their ministry. Many pastors are familiar with the weariness that accompanies ministry. Like a wise and gentle friend, Christopher Ash provides us with encouragement and practical help so we can sustain zeal and avoid burnout. While this book is a gift to pastors in particular, everyone who reads it will benefit. 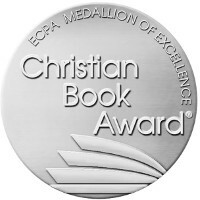 "A book for every Christian?" Being passionate for the Gospel can so easily lead to taking on too much and burning the candle at both ends. Christopher Ash provides wise simple advice, and more often than not reminders, that we aren't superheroes, but weak humans. If you're an employer, employed or an essential volunteer; just thinking of serving or an old hand, this is a great book to read. Thank you Christopher. Such helpful guidance and advice from God through Christopher Ash. Even if you're not in busy Christian work this is for you. Just as a normal, everyday member of a church, this book is vital for you to read so that you can be helped and help others. Small enough to read quickly and pass on or even share in a study group. Thanks to God for inspiring this book. Christopher's main point - we are dust - and its implications are thoughtful and a good corrective to unrealistic thinking and hopes. It was good to be reminded that God is God and we are not (! ), and therefore we need to attend to ourselves rightly and sanely. However gifted and/or godly we are, we are not immune to the normal pressures that weigh on our fallen humanity. A quick and easy read so please make time to read it especially if you have been living as a Christian for a while. Whilst it will be of particular relevance for those in full time ministry it is also useful for those who are not to help serve their pastors better and to be effective long term servers too. Why not buy the pack of 5 and give them to those you know in full time ministry as an encouragement? I have read the book and bought it for all the crossteach team. Anyone and everyone involved in ministry (paid or voluntary) should read this book. It highlights the potential areas where good desires lead us to behave in ways where we think we can do more than God has equipped us for. It has really helped to identify areas in my own life where I am in danger of behaving as if I am superman! The honesty of the book makes it easy to be honest with yourself as you read it and the practical advice and examples make it easy to make changes where they are needed. It is a great reminder of our limitations and I am sure my ministry will be more sustainable over a longer period of time if I am ready to make the necessary changes. The real life stories make the consequences of burn out abundantly clear and something surely something we want to avoid if we can. Better to read this book before you burn out than become another real life example of the devastating impact of burn out. because it's not just paid church staff who are in danger. We want all our leaders to be zealous for a lifetime of ministry. Tired of being told to slow down, do less and enjoy my family by Christians that didn't seem to have an ounce of zeal or urgency for matter of life and death, I picked up this book because I knew this particular author would fully share that urgent call for the lost and yet was giving me biblical permission to pace oneself. Rather than being told by other Church members to 'sit back and relax' for reasons that always seemed selfish and worldly to me.. Christopher gives us the biblical reasons for not over doing it.. chiefly the case for being more useful to God in the long run and the idea that not to obey His commands regarding rest is in fact blasphemous, not heroic. With the characters like Whitfield, Hudson Taylor and Paul normally driving me on, it was helpful to have a zealous Christian advocating the brake pedal. I have also never before read a Christian book that give you permission to watch mindless TV dramas for a real rest (rather than always going to scripture for a more pious rest). That was a hugely refreshing touch, coming from an earnest conservative such as Christopher Ash. A wonderful and realistic encouragement and challenge to keep running the race with perseverance; Christopher's book was a great blessing in the challenges of ministry and a healthy reminder of our human limitations and divine dependence. So clear, so relevant and so helpful. Essential reading for anyone involved in any sort of serving. Should be read once a year, every year as part of a sustainable ministry.